In 1878, Thomas Edison formed the Edison Electric Light Company, eventually becoming The General Electric Company in 1892. 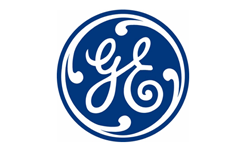 GE builds the world by delivering capital, infrastructure, and expertise to the global economy. General Electric stands out by building things that others can’t, with the intention of making the world a better place—powering, building, and curing. GE will focus on driving infrastructure leadership by emphasizing innovation and obtaining a culture of simplification to better the lives of their customers around the world. Even the safest companies like General Electric run into their fair share of problems with their appliances. Oftentimes these problems will arise years after appliance warranties expire. Some of the common complaints include overheating and cracks in their fridges, water leaks in their dishwashers, blown microwaves, freezers unable to make ice, just to name some. Not to worry, Fast Appliance Repair will maintenance and repair GE washers, ovens, stoves, microwaves, fridges, dryers, cooktops, and dishwashers in both residential and commercial settings.